In my next series of posts, I’m going to write about something near and dear to my heart – digital marketing. I know for many of you that marketing is – at best – not your favorite thing. I hear ya! 😉 The digital marketing landscape can seem vast, with new tips and tools coming out every day. How do you know what is ‘worth it’ so you have a positive ROI (return on investment) for your efforts. Starting today, we are going to tackle the elephant in the room head-on. 🐘 We will look at how authors can use the same ‘growth hacking‘ techniques that other small businesses and startups use to efficiently grow your writing business. Digital marketing is a must for authors today. There are many aspects to digital marketing, but not all of them need to apply to your writing business. I’m going to write about some serious nitty-gritty topics that I think will give you all the information you will need to become an excellent marketer for your work. We will start with an intro to digital marketing, delve in-depth into marketing analytics and, finally, we will discuss the many ways you may acquire & engage readers. In each post, I’ll write out a ‘Growth Hacking Tip of the Week’ that you can apply right away. My goal is that you can use these posts as a guide to help you understand the vast digital marketing landscape, and choose which methods are right for your business. As always, please ask questions in the Authorpreneur Launch Forum. Can’t wait to see you there! These days, authors—both traditionally- and self-published—have plenty of opportunities to earn a decent living off their work. 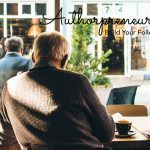 However, in order to do so effectively, there needs to be a shift in mindset that takes place, between being an “author” to being an “authorpreneur.” So what is an authorpreneur in real terms (not that we don’t love invented terms!)? 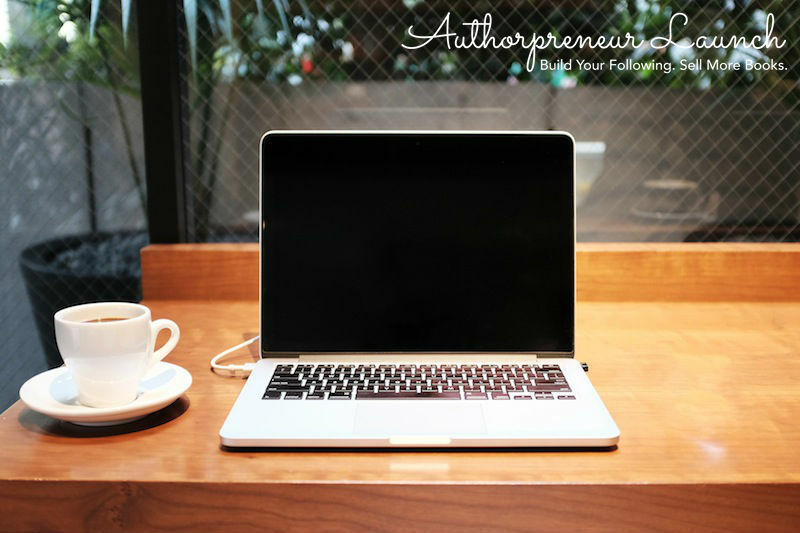 In a nutshell, an authorpreneur is an author who understands that they need to treat their craft as a business and, therefore, run their operation just as they would a small company. Instead of thinking solely as a writer, you must think like an entrepreneur with a marketable brand to promote. First of all, before anything else, an authorpreneur needs a business strategy. A business strategy defines a plan of action, and includes target goals as well as ways and means to reach these goals. Basically, you need a plan that will take you from A (first steps) to Z (successful owner of your own writing brand/business). Any successful business has a well-defined and executable business plan, and self-published authors are no exception. Your writing must become your brand, and should be defined as part of your initial business plan. Your brand is what you promise your customers, and also what allows you to control how you are perceived by the general public. Perhaps you feel that all you really care about doing is putting your words down on paper, telling stories, sharing characters—you know, the art. That’s great if you aren’t interested in earning money through your craft or making a name for yourself. More power to you! But, if you are interested in making this passion of yours work as a financially viable operation, then you need to dig down deep and grab onto that entrepreneurial spirit. 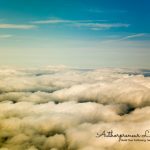 It may appear to be a daunting task at first, but anyone, through the right attitude and training, can learn to thrive as an authorpreneur. Many may even find that the business aspect of writing is just as fun and fulfilling as the craft itself. There’s a case to be made for entrepreneurialism as the ultimate form of creation. And what author wouldn’t want to control their own destiny? First of all, you must have a fair understanding of the basic components of any business, as these components ideally interact with each other seamlessly within a structured strategy-driven model. These components include: creating something of value for others (i.e. something that sells), effective marketing (promoting your work to a large audience), sales (selling your work), delivering products of value (coming through on your customer promise), and, finally, finance (bringing in enough money to keep your business rolling). When you are working on your business strategy, you must have all of these components firmly in mind. Secondly, it is important to articulate your business strategy correctly and research what type of business model will work best for you. This also includes developing a marketing strategy that will be the most effective to implement in conjunction with the business model. Have you defined your pool of customers yet? Have you worked out what type of platform you are most likely to generate sales from? Have you researched different algorithms, how they work, and how they can benefit you? If not, it’s time to work on the answers to all of these questions in order to start filling out your business plan! Digital marketing has a huge role in helping independent authors sell their work today, and it should be an overall part of your business strategy right from the beginning. Successful authors create well-defined value propositions that emphasize what makes their work unique and of value to potential readers (read: customers). In addition to your unique value proposition, you will also need to draw up an elevator pitch that not only effectively sells the idea of your work, but also sells you, the author, as a complete brand. A great elevator pitch will provide your potential readers with a detailed overview of what your value proposition is and why they can count on you to consistently deliver high-quality and awesome work. The great part about digital marketing is that it will really help you develop techniques to hone in on who your readers are and who will buy your books. If you market your work to the general public without defining your target market, you will most likely fail in your attempts. Instead of wasting precious time sending out messages here, there, and everywhere, make a more refined effort to match your marketing to your audience. This takes a little upfront work, but the fruits of this work can mean a difference in thousands of sales, as well as the creation of an existing pool of customers who are waiting impatiently for your next masterpiece. There are several ways to define your target audience; for example, you can study a few of your readers using customer-specific questions that will help you narrow down areas of shared value. You can also target their preferred form of social media, and then match your marketing techniques to what your target readers will immediately jump on. If your target group is mothers who frequent parenting blogs, you won’t make many sales if the bulk of your marketing tactics are directed toward teens who love science fiction! In addition to focusing on your targeted marketing, your business plan should also include other ways to make money from your work, on top of book sales. Consider areas such as product merchandising and audiobooks, courses, webinars, movies, keynote speeches, games, and so on. A children’s book character can turn into a favorite cartoon on primetime TV, a t-shirt, even a smartphone app! The opportunities are endless. Think big rather than small. Your ability to produce so much more than the written work provides endless added value in terms of your business as well as to any potential publisher and customer. P.S. I’m trying some other new things this week — like launching an online author business plan course. And since I’d like to get to know about you and your business by hearing from you in the Authorpreneur Launch Forum, I’ve decided to share a few photos so you can have a slice of what my life is like too. 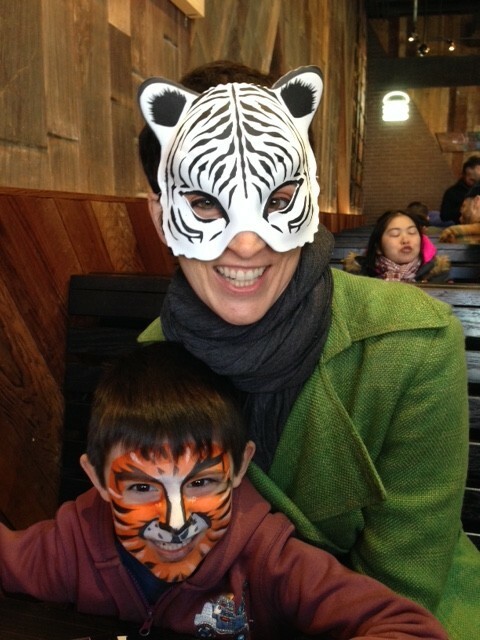 Photo of the Week: The family went to see the Ringling Bros. Circus in Brooklyn. In this photo, we are at Shake Shack for burgers (veg for me) and fries after the show.